Hyphens are used to link words that function as a single adjective before a noun. They are used with compound numbers, and to avoid confusion or awkward letter combinations. Hyphens are also used with certain prefixes and suffixes and in certain special cases. • Compound words are composed of two or more words that express one concept together (shown in bold below). They may function as nouns, verbs, or adjectives in the sentence. Compounds come in three forms: open compounds are written with separate words, hyphenated compounds use hyphens, and closed compounds are written as one word. • It is usually difficult to guess what form the compound will take. The solution is to always consult a reliable dictionary, but also take into account that different dictionaries may suggest different forms. This is due to the language constantly changing. Rules regarding compound adjectives will be discussed in our review about the hyphen in punctuation. • Tip: The older a compound is in use, the more chances to it being written in one word, and vice versa. The hyphenated version tends to be a mid-way stage. • If one part of the compound is a single letter, it is usually open or hyphenated. The compound email is an exception that has turned into a closed compound, due to pervasive usage. • Do not hyphenate phrases originating form foreign languages, particularly Latin. • The following are commonly hyphenated by mistake, but should be written without hyphens. Use hyphens whenever a prefix would create an ambiguous word. For example, after you do something you can redo it. However, if you fine someone, you would have to re-fine them (because refine means something else). • Most prefixes and suffixes are attached to the root word without a hyphen. In some cases, two versions are acceptable (nonaggressive/non-aggressive, infra-red/infrared), but the tendency nowadays is to omit the hyphen. Only in the cases below should the hyphen be used. • Use a hyphen after the prefixes all-, ex-, quasi-, and self-. Don’t use a hyphen when self is the root word. • Use a hyphen before the suffixes –elect, -odd, and -free. • Use a hyphen when the root word is a numeral. 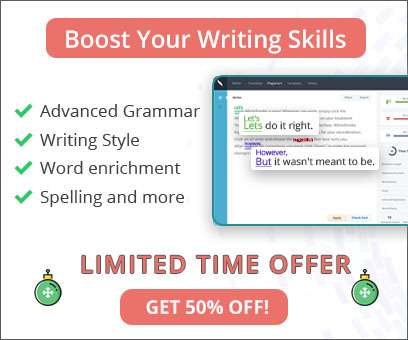 • Use a hyphen when the root word is capitalized. • Use a hyphen to avoid an awkward looking string of letters. • Use a hyphen if the word would have a different meaning without the hyphen. • Use a hyphen if the word would be difficult to read if it weren’t hyphenated. • Use a hyphen when the parts of the compounds are not commonly used together. • If you use a word more than once in one sentence, each time with a different modifier, consider using a suspension hyphen. However, do not overuse the hyphen in this role. If the repeated word comes last in the compound, write the full compound at the end, and hyphens in the earlier combinations. Clumsy: He was referred to both clinic-based services and hospital-based services. Better: He was referred to both clinic- and hospital-based services. Clumsy: You can either choose a two-month program, a three-month program, or a four-month program. Better: You can either choose a two-, three, or four-month program. • If the repeated word is the first part of the compound, write the full compound in the beginning and use hyphens for the next combinations. The company-initiated and -sponsored events must be attended by all employees. 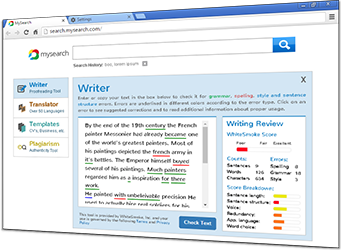 • Most writers today use a word processor that automatically aligns text so that no end-of-line-word-break is needed. Read this section if you are still using a typewriter or have to adhere to certain type-set requirements that make it impossible to avoid such breaks. • Break words only between syllables. Consult a dictionary that indicates syllable division within a word. As dictionaries of US and UK English differ on this point, be consistent in style. • Do not break short words, one-syllable words, or words pronounced as one syllable, regardless of how long these are. • Do not break a word if only one or two letters will be left on a line. • Break between two consonants according to pronunciation. Note: The following three rules are not compulsory but highly recommended. • Break compound words at the hyphen, or between the words (in closed compounds). • Break words that contain prefixes and/or suffixes, between these and the root word, not breaking any of the words' components themselves. • Do not break a word if the two resulting parts are words themselves, but are unrelated. • Use a hyphen with any two-word number (21-99) or fraction.